The results are much cleaner welds with virtually no spatter, which greatly improves production efficiency in terms of overhead costs. 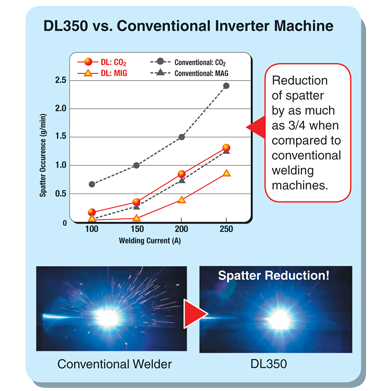 Significant reduction in spatter for CO2/MIG/Stainless Steel DC welding applications. Support for low-alloy, high-strength steels. Thin plate welding mode greatly improves welding quality for thin plate applications. 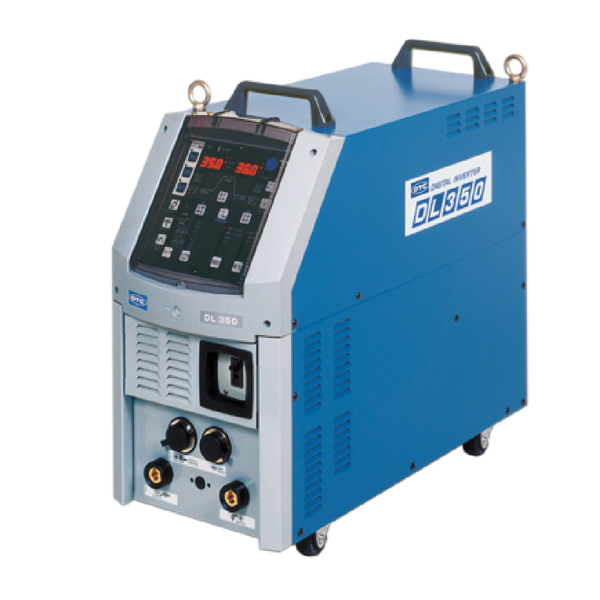 Capable of welding very thin materials less than .030″ (0.8mm). Greater gap tolerance for thin optimized automation settings. Less welding fumes and cleaner bead appearances. 27 pre-optimized waveforms for different wire types and diameters, and different gases. Custom waveforms can also be saved. Reduces arc outage, prevalent in older machines. 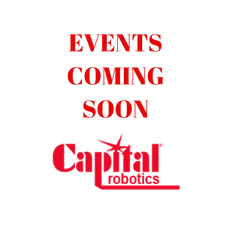 Would you like to reduce your overhead costs by reducing the amount of wire used and labor required for cleaning up spatter? Wouldn’t it be nice to reduce the amount of spatter in your facility while producing cleaner welds? Look no further than the DL350 from OTC DAIHEN. The DL350 is the world’s first CO2/MIG Stainless Steel welding machine to feature a dedicated Spatter Reduction Control, which reduces the amount spatter generated by up to 75% when compared with conventional welding machines. The results are much cleaner welds with virtually no spatter, which greatly improves production efficiency in terms of overhead costs (wire, cleaning labor) and improved part appearance.